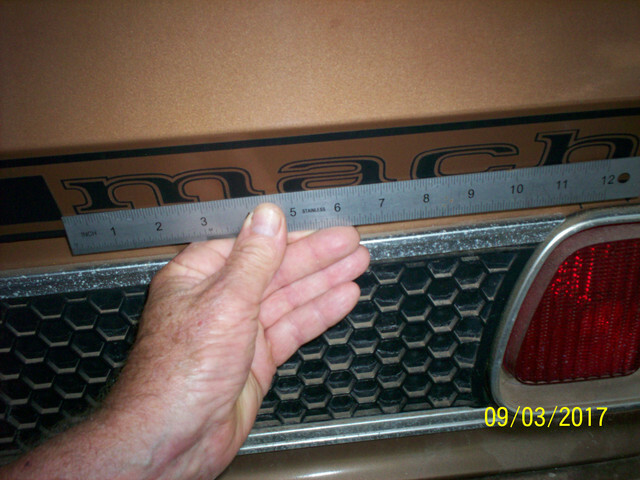 Did all 73 Mach 1 ‘s had the factory stripe? All 73 Mach 1's had a body side tape stripe that was unique to that model year. As in previous years it was available in argent or black. There was a decor group option on the base coupe and verts that offered a 71-72 style body side tape stripe in argent or black but was only available in conjunction with the Decor group. 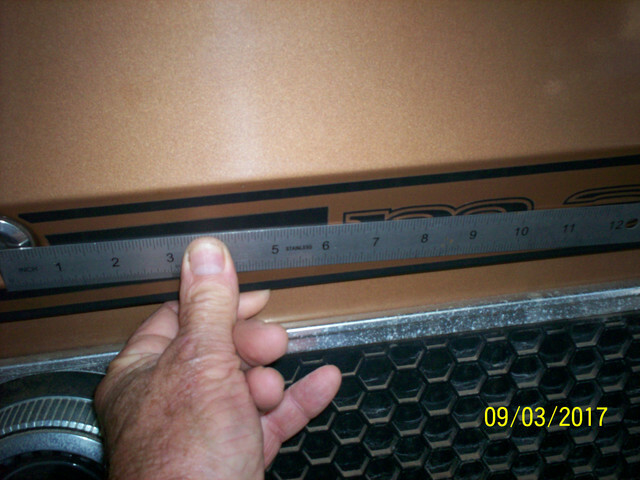 In the past I did some measuring for another member on my original 73 Mach 1. The available stripes were a wrong that he had checked. Some were over an inch off in some places. When he approached the mfg. about correcting them they just said that was what they had to sell and people bought them. 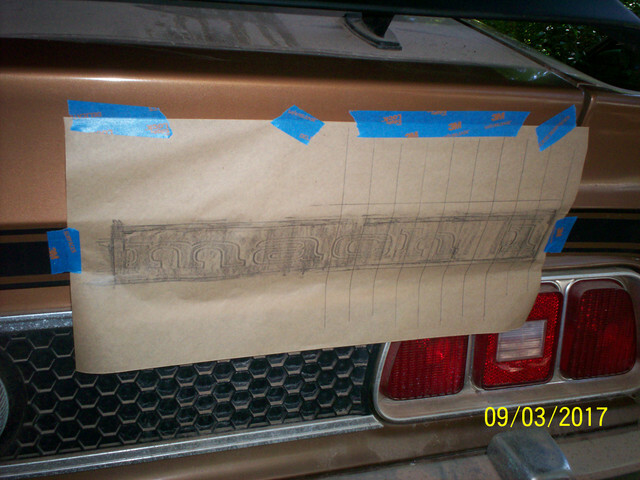 If you can find an original car see if you can do a rub off with pencil so you can compare to repo stripes. Any NOS stripes will probably have bad glue by now. If you have never installed before beware if you do not mix up the water and soap and apply like they say you might have an issue. If the stripe touches the paint without the solution it will probably not come off without destroying it. Put them on inside with no fans or air blowing. Watch some videos on how to install. Here are some pictures of an original one owner. The factory did not have time to get them perfect usually about 2 min. in each work station. The stripes are crooked, do not wrap around the edges and position varies. 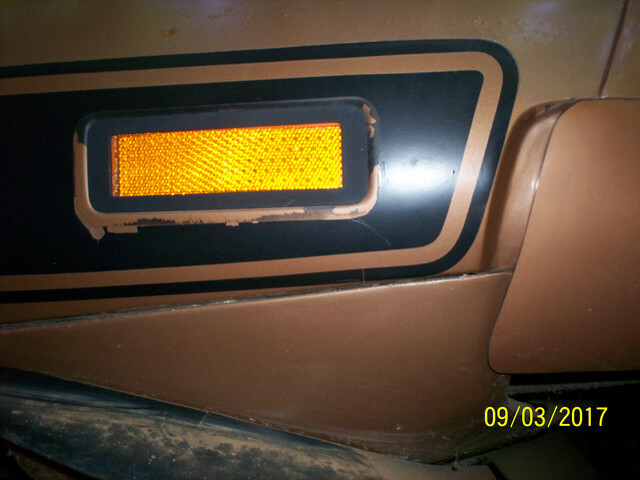 Note also that before the stripes were applied they sprayed black paint around the side marker light then applied the stripe. It is peeling in this car. There has been discussion about this being correct of not. This was a late build car in May 1973. Every original car I have ever viewed had the paint around the light and the light frame either black or argent. The Ford brochure shows it both ways on one page. Probably in a review before production they decided to add the paint to make the stripe look more correct. 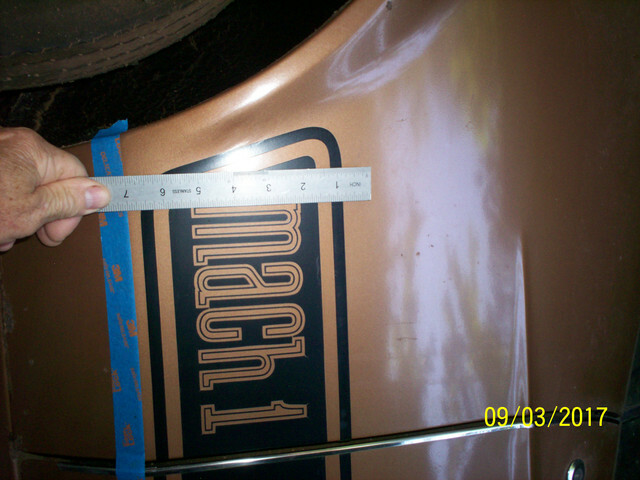 I think the largest error on the repo stripes is the location of the Mach 1 name on the trunk. I cant remember the name of the place, but its the same place that makes all the decals for "Graveyard Carz". Those guys will make anything you want. If you can give them correct dimensions on everything, they will draw it up and cut it for you. They are also fairly reasonable on price. I think they are in Phoenix. Maybe phoenix graphics or something like that. Check the graveyard carz site or call Mark Worman.